If you thought age was an impediment to diving, think again. 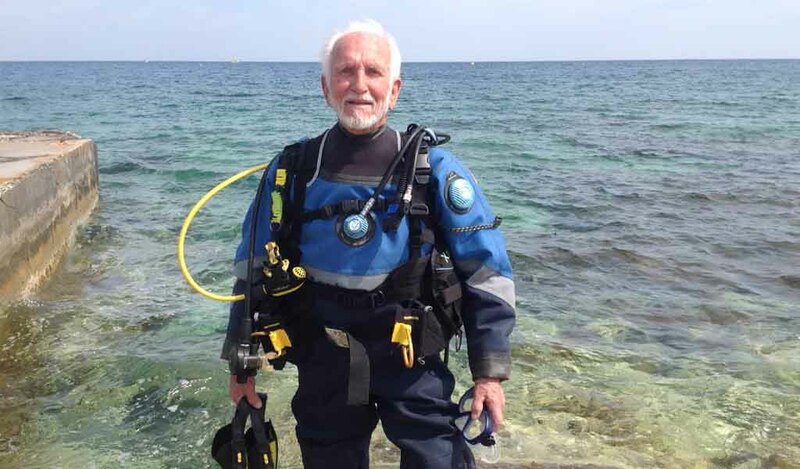 Ray Woolley turned 95 on August 28th and then plunged to a depth of 40.6m/130ft for 44 minutes to break his world record as the oldest male scuba diver. The dive took place in Cyprus on the wreck of the Zenobia. The achievement is the second time Woolley has broken the record. He set the previous mark the year before when he was a 94-year-old with a dive to 38.1m/125ft for 41 minutes. The previous record also took place in Cyprus where Woolley lives.